Every part of your body is vital during a battle, so make sure every part of your body is protected from the strike of a sword. 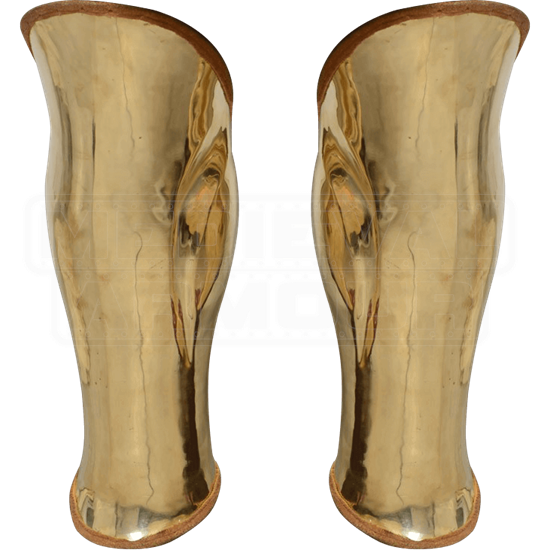 Keeping your legs safe, the Greek Warrior Greaves are pieces of armor fit for a Spartan champion. 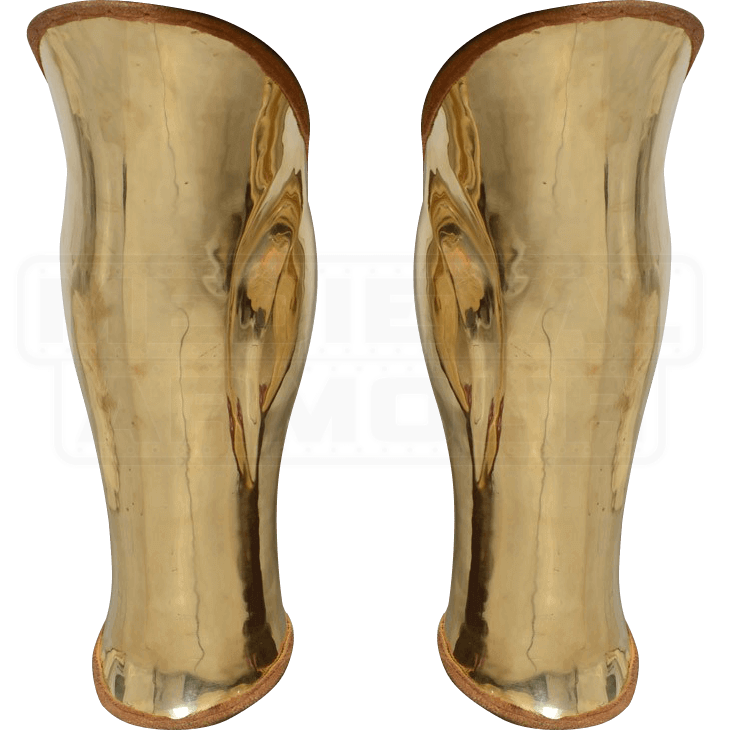 Created from brass metal, these greaves are designed to keep you standing through your toughest duel. These greaves also feature fabric on their edges to keep the metal from irritating your skin. Thanks to straps on the back, these greaves are adjustable to fit almost any warrior. With a versatile look that can go with almost any armor, the Greek Warrior Greaves are a polished and gleaming accent to your battle ready wardrobe.